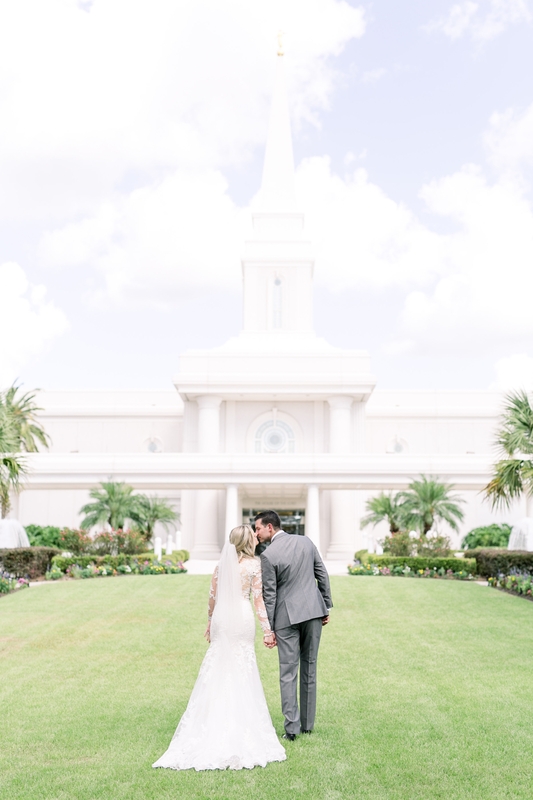 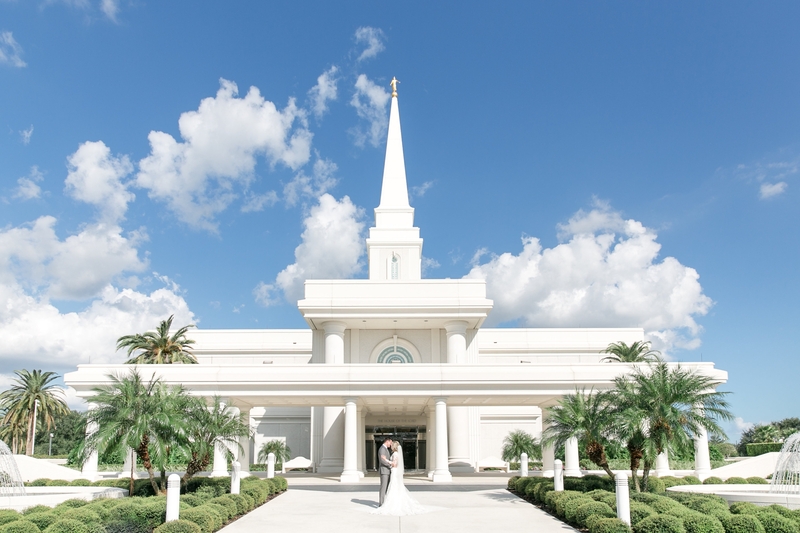 A beautiful sealing ceremony and LDS Temple Wedding in Orlando, FL at the The Church of Jesus Christ of Latter-day Saints in Windermere FL. 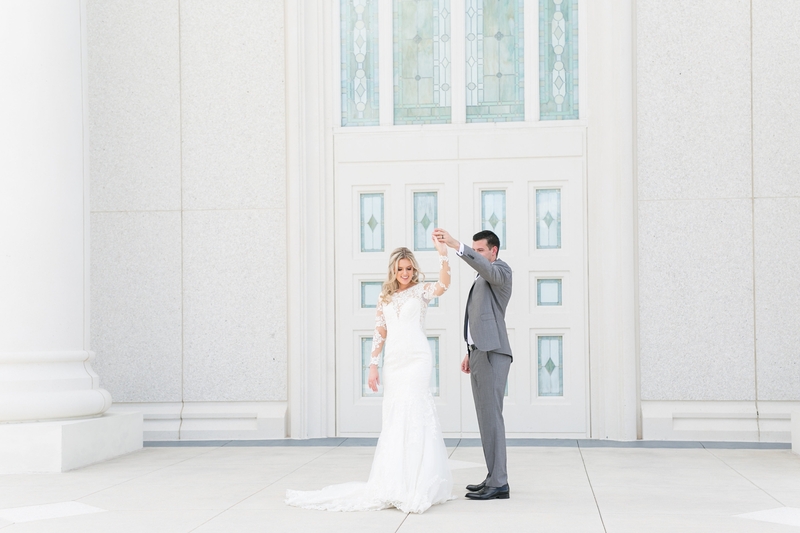 Justin and Kristen knew they were destined to be together! 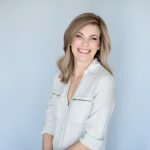 One summer when Kristen came home from college she met a cute boy who asked her out to hockey game. 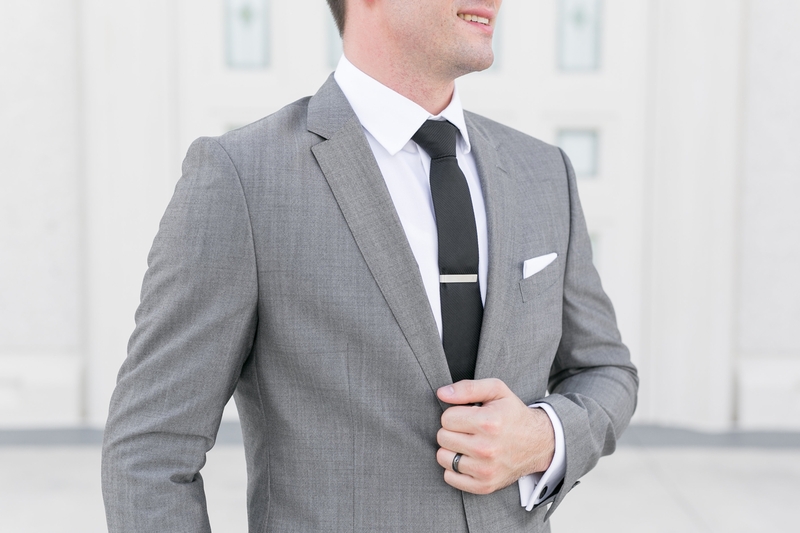 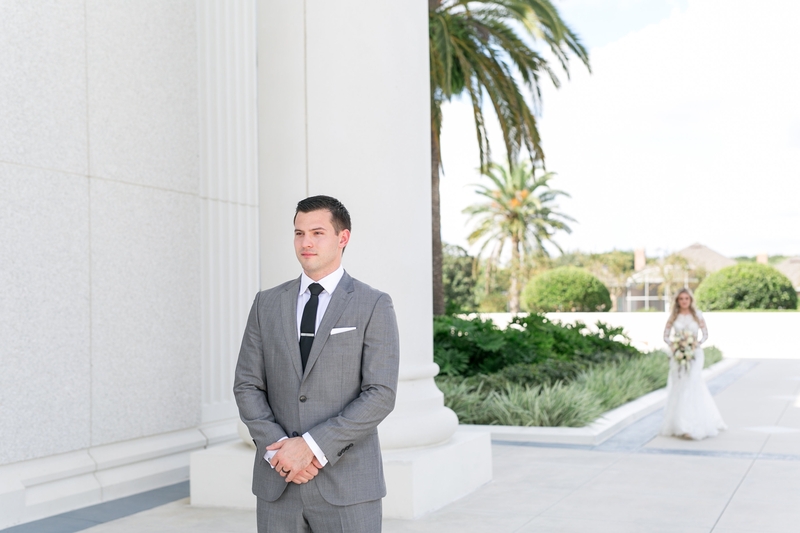 To reminisce the college days, Justin had one of his college buddies reach out to Kristen for a “Valentine’s Day model shoot” in downtown Tampa, that Kristen agreed to. 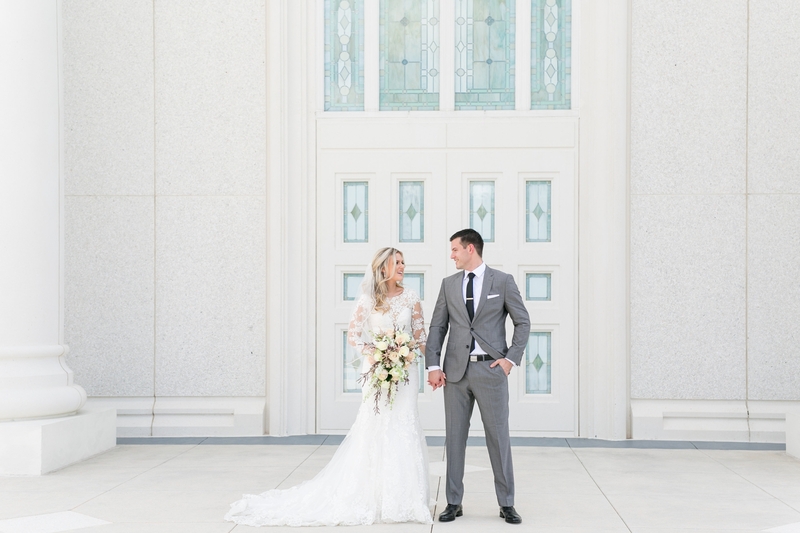 She had no idea what was happening until Justin started getting really nervous and then dropped to one knee and proposed! 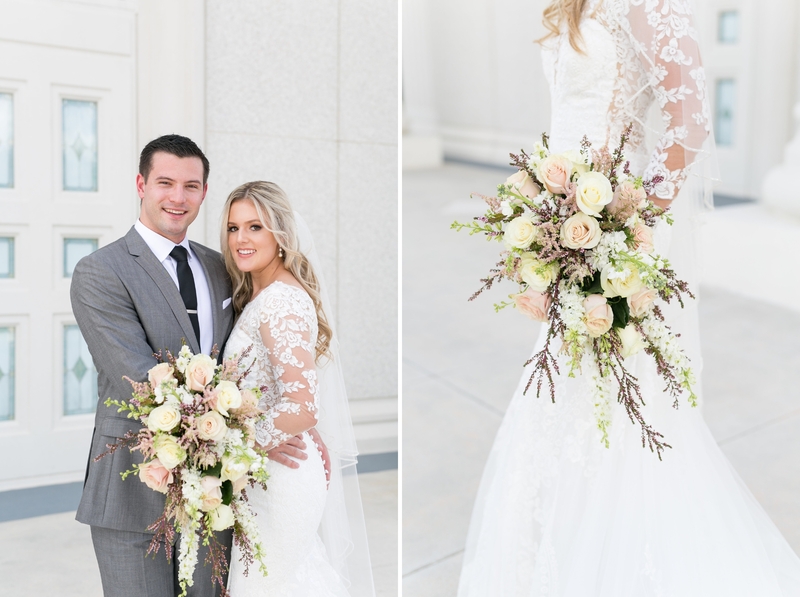 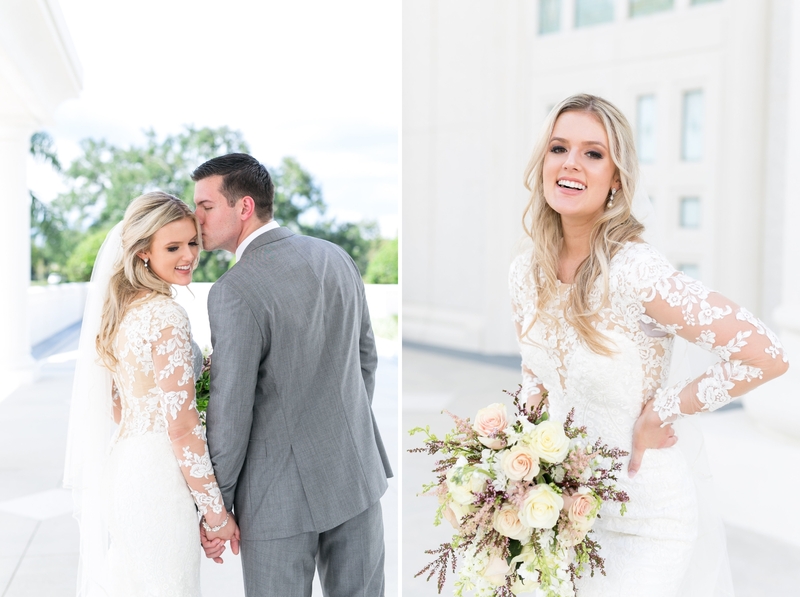 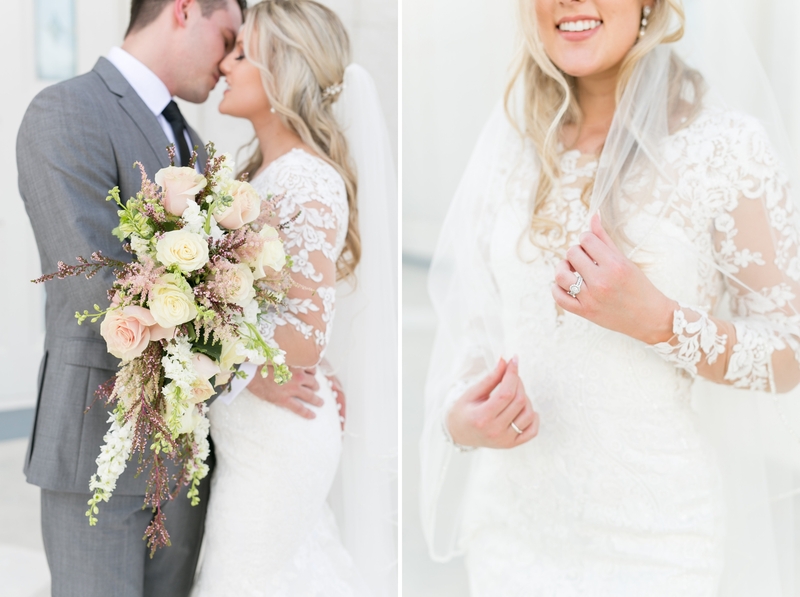 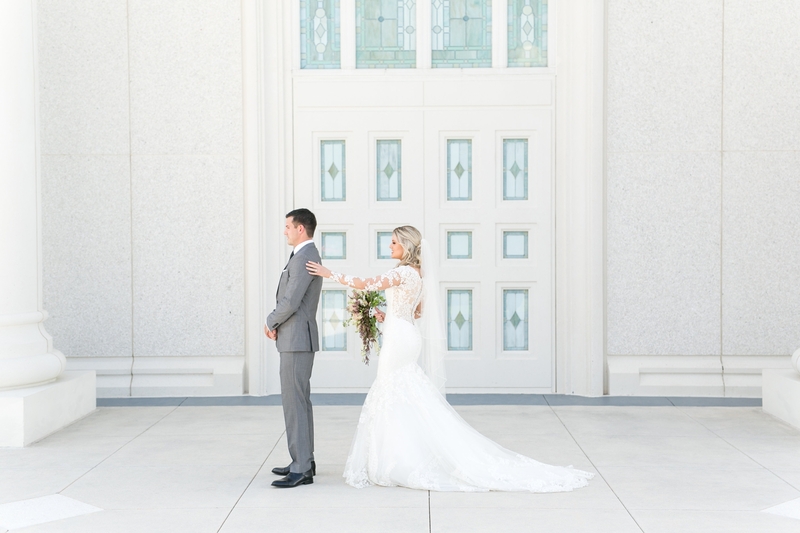 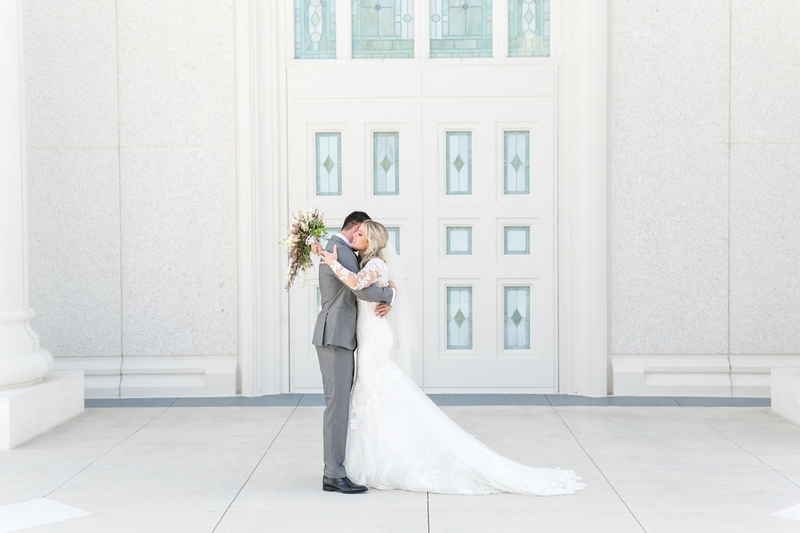 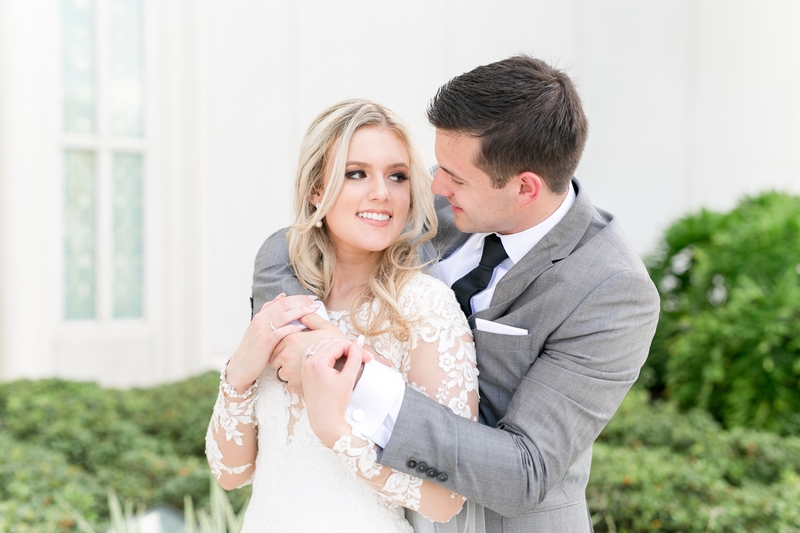 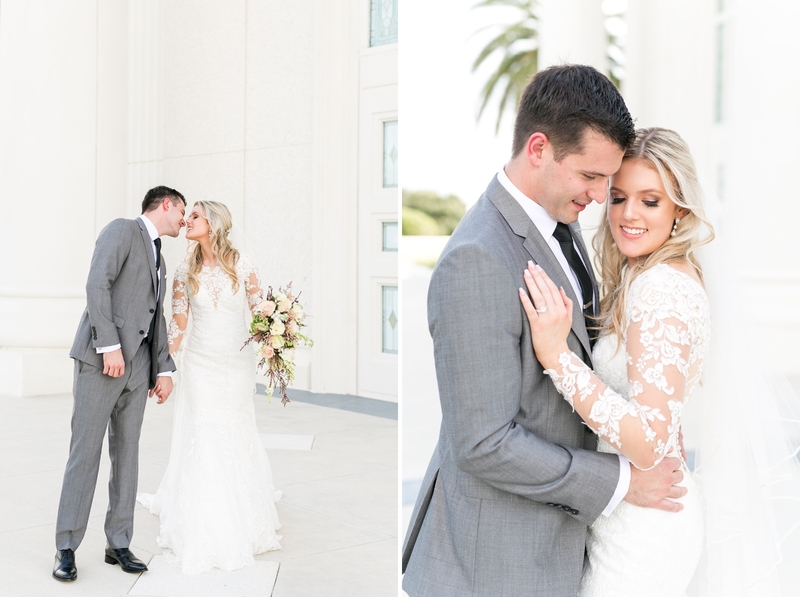 They started their wedding festivities with a traditional Sealing Ceremony at the Church of Jesus Christ of Latter-day Saints to celebrate their Mormon religion and to bond them together for eternity. 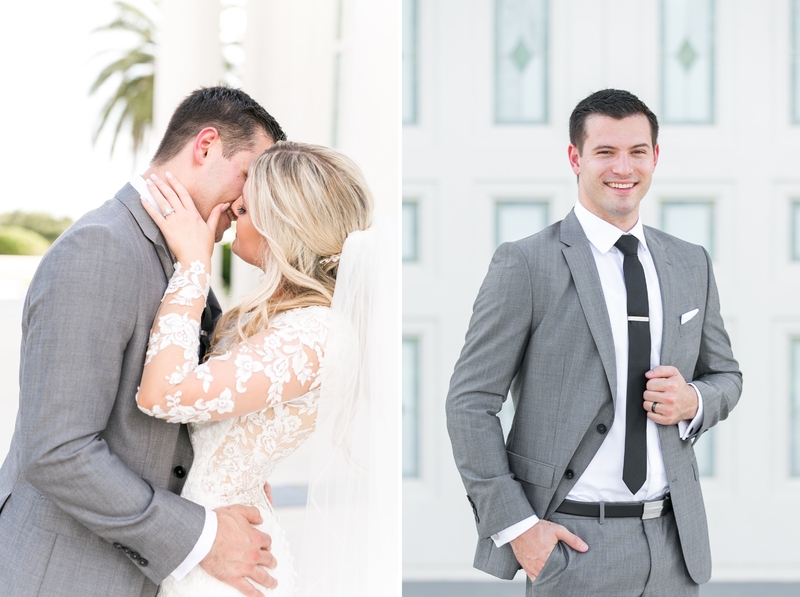 The following week, friends and family joined them for their wedding celebration!